A new Japanese PC giant could be about to emerge. Bloomberg News reports that VAIO, the spin off from Sony’s PC brand, is nearing a deal to combine VAIO, Toshiba, and Fujitsu for PC businesses. The merged result will create a significant rival to Lenovo NEC, Japan’s biggest PC maker. While there are no details on naming or products, Hidemi Moue, chief executive officer of Japan Industrial Partners (which owns VAIO) says the deal is expected to be announced by the end of March. News of the consolidation comes just as Toshiba confirmed it was not considering withdrawing from making PCs.Toshiba cut 7,800 jobs in December amidst an accounting scandal and a struggling electronics division. At the time, Toshiba revealed it would “consider alliances third party companies” as an option, strongly hinting it was looking to partner with other Japanese PC makers. 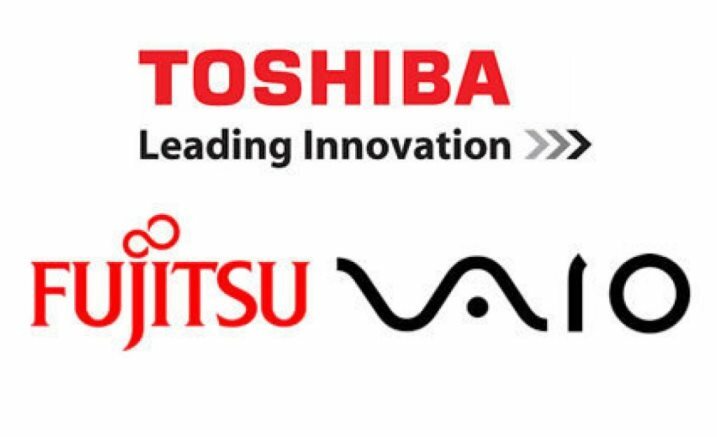 Any deal between VAIO, Toshiba, and Fujitsu would further confirm the consolidation occurring in the PC industry. Top three PC makers HP, Dell, and Lenovo appear to be strengthening their grip on the PC industry, so any collaboration between smaller players could generate significant competition. Microsoft helped Dell go private with a $2 billion loan in 2013, and the software maker also teamed up with Intel, HP, Dell, and Lenovo for a big PC marketing push. All PC makers are trying to convince consumers to purchase new machine at a time when Microsoft is giving away Windows 10 as a free upgrade for existing PCs.